Though Ubuntu is a very popular Linux operating system at present, it doesn’t offer as many applications as a Windows based machine. Moreover, if you are migrating to Ubuntu, you might miss some of your favorite apps, which may be a deal-breaker! Yes, dear Ubuntu struck FYUP students – here’s introducing Wine. It is a program loader which assists you in running apps in Linux & various other non-Windows operating systems for free. In Ubuntu, there are different ways of obtaining WINE. One may install it through the Terminal or download it from their official website. A simpler way is to get through the Ubuntu Software Center (Briefcase shaped icon with the alphabet ‘A’). Search for “wine” in the center, select and install “Microsoft Windows Compatibility Layer (meta package) wine” from the obtained results. Enter your login password when asked. The installation may take some time, depending on your internet connection. Once finished installing, you may configure Wine, such as default Windows version, screen resolution and so on. Now, you can run Windows applications, by right-clicking the desired application file and selecting “Open with Wine program loader” from the drop down list. When you install an application, a shortcut would be created on your desktop and Application menu, which runs like any other Ubuntu application – Open and Play! However, do remember Wine cannot run all Windows applications and there may also be certain bugs present in software you run using it, which should be resolved by further updates. 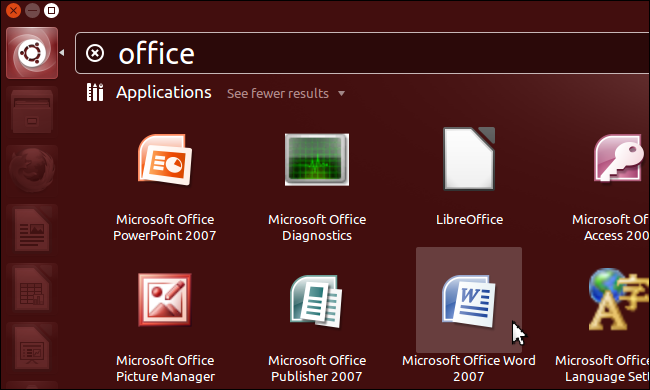 But, nonetheless it’s an extremely useful application which enriches your Ubuntu experience and makes it more productive. 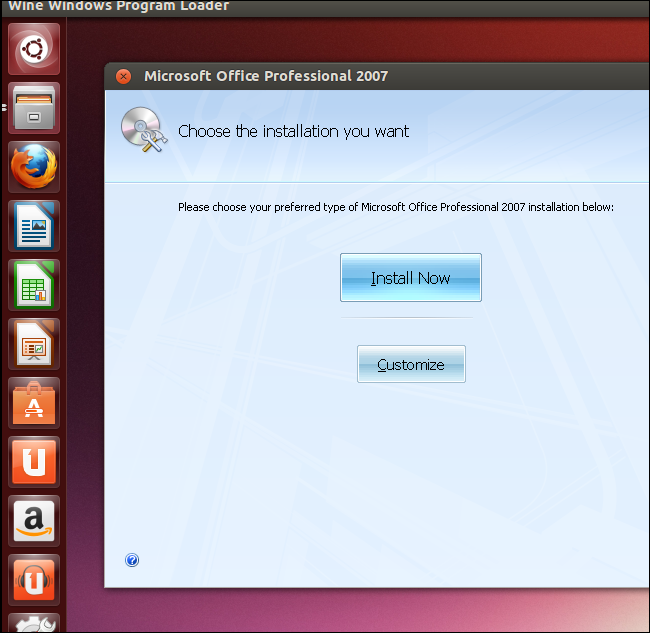 So try your favorite Windows software, games, tools and more, on Ubuntu- have fun!